For this task we had to do this maths presentation called solve multiplication problems. Well obviously the first thing we had to was to read the instructions and had to do this task that said on the class sites. At first I thought that we had to do a presentation that we might think that was a bit hard, I think that a lot. So for this task we had to do a presentation that helps us learn more everyday, I think. For this task we had to do this presentation which is called solving multiplication problems. Based on multiplication and division. For this task we also had to explain how we solved this problem and why you think. On this presentation there was also a little question at the bottom of the other question. Well as you already know, This Spider does not eat Humans or other predators meaning that anyone or any insect can get near a Black Wicked Spider. This Spider lives in areas meaning as in Plants, Living under rocks, on the edge of the ocean and in holes. They can also live in corals which means that they mainly live in habitat’s that they can find around NZ. This spider eats leaves plants and many different Trees that are native around NZ, Black Wicked Spiders can not eat endemic Trees and plants, According to this population no Spiders can eat endemic things or they will die. Walt: make connections across multiple texts. Task Description: For this task we had to do a post using insects. Mrs Stickland had told us that we can not finished unless you have showed her. We also had to do this presentation which is called Insects A-Z. If you have seen this presentation then please carry on down. As you can see I have done more post than many of my other friends. Anyways for this task we had to create our own insects and writing down some facts next to the other box. For this task we had to write why other people like Wetas and why we like Wetas. We also had to do this presentation to see if other people want to find more information about Wetas or would just stay far away from them, Well I would. I would not want to do anything like this because it just creeps me out. So why don't I ask you question. Would you like to see Wetas. Please send me some psitive comments of you seing a Weta, Or just doing a Video of you being so scared by just looking at one. Anyways your friend Hinerangi. WALT: Describing words about your Bug. Did you know that there are only 5,000 different species of Ladybugs in the world. Ladybugs are gleaming and shiny. It’s wings shoot’s of as it is an Airplane. Ladybugs are flawless cute and incredible. They all have different colors on there back and seem to be funny. Ladybugs are Delightful. My insect is called a Spider Wacker because it does a lot of things that no ordinary spider can do. This Spider Wacker does not eat other insects or bugs and doesn’t attack any bug, Insect or Human. The Spider Wacker lives in all different areas like Caves, Ocean and Forest, Far away from Plants. I really like this Spider Wacker because it is really sensible and as I already mention they do not eat Bugs, Insects and Humans. For this task we had to create a new Insect that no ordinary person had used yet. As you can see up the top my insect is called a Spider Wacker. I chose this insect because I knew that some people might get confused and that maybe the Spider Wacker has more information than my friends. If you haven't noticed it was quiet fun. Walt: solve addition and subtraction problems using different strategies. For this task we had to do a presentation that Mrs Stickland chose us to do. It was called The number of the week. I chose 672. The reason why was because My Great Great Grandmother loved this number. Every time she came to us she would always wear it on her T - Shirt. So this week my number is 672. Thank you. Walt: write a Cinquain poem about camp. For this task we had to at least try and figure out what this answer might be for both answers. I thought that this would be a very hard question. For this task we had to do a post about our favorite insects and why we enjoy them. We may have an option of what we got to do and why we wanted to choose them. As you can see I have chosen a Butterfly which is a insect. I thought that I should learn about Butterflies because I always see them around and having to learn about it. I really think that Stacey Mr Goodwin's friend might want to learn about Butterflies. 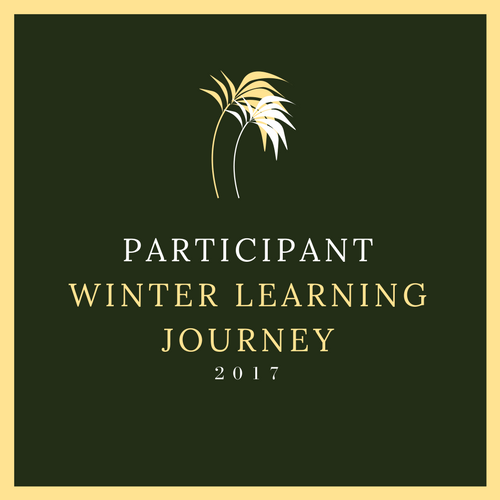 Walt: write about our experiences on camp.Have you ever been on a year 5 & 6 camp before? Well I have. Last week Wednesday most of the year 5 and 6 students started their camp on Wednesday. This camp took place on the School field. It was an amazing opportunity for Team 4, But some horrible weathers. This camp took place on our School field and was on Wednesday the 8th of March. If you have no idea of what camp is all about then let me tell you some things that happen at our School camp. On our School camp we had to bring the most Important things to wear, Especially on windy days. Some of them were quiet oveis. The activities we did was Kayaking, Swimming, Games in the Hall, Bike Track, Killer Zone, Youth town and Get Lost. They were all amazing. My favourite part about camp was going to Mangere pools and Kayaking with Grace, Grace was quite a great kayaker. My favourite Highlight about camp was the concert as we all got to see everyone dance on the stage. My favourite groups that I really enjoyed watching were the Chiefs, Presidents, Generals and the Sheriff's. Everyone must’ve had a great night. I would like to say a big thank you to Mr Burt, Whea Saf, Miss Takerei, Mrs Samuels, Ms Squires, Mr Sommerville and Mr Jacobson for all your support at camp and helping the other team members. I would also like to say a big thank you to Miss Hare and Miss Timmy for all your support and helping the other teachers if they needed any help. You are the most wonderful helpers I have ever seen. THIS WOULDN’T HAVE HAPPENED IF IT WASN’T FOR YOU. Thank you so much Mum and Dad you are the best. This was an amazing adventure for everyone, I hope. At camp I thought that my team the Captains learnt a lot from our teachers as we all got along with each other. That was an amazing thing about everyone. This was an amazing opportunity for us. If you have ever tried this you have may found this camp much more fun then learning on paper at class. ( It is really oveis). So what I would recommend is for you to try this out and have a lot of fun. If you have not been on a camp before then try it out when you have time to in the future. For this task we had to do a recount about camp and why we were so excited about camp. It was so fun on this awesome camp as we all had fun at night, And what I am saying here is about the concert. What are some of the Native birds you see around Tamaki? Well I think Tamaki needs more Native birds to help The environment of Tamaki. Let me tell you why we need more Tui’s and Kaka birds. The reason why I think Tamaki should have more Tui’s is because they have not been well treated by humans and have not been eating proper things around Tamaki. 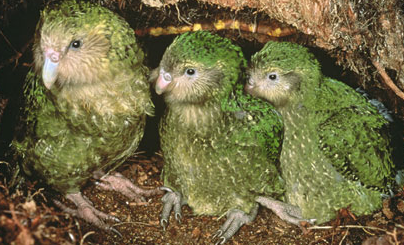 I also think we need more Tui’s because there have not been enough Tuis around Tamaki, Which means a lot of them have been dying. 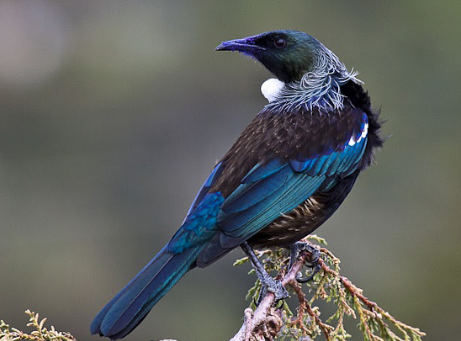 I would like to see some Tui’s because they are really cool and they can talk, I would love to see that. I think Tamaki should have more Kaka birds because many of them have been in trouble and couldn’t be saved by humans and other members. I also think that Tamaki should have more Kaka birds because I know that the old ones have been dying by eating bad food like Cans, Plastic things, and many more. I really like to see some because they look really beautiful and have lovely colors on them. I think we need less Magpies as they have been frightening a lot of kids and Parents, That is not funny. I would like to have about some of the Magpies to go as they have been frightening people and it is not that cool seeing them fly above you . I hope to see them all leave as they have been causing a lot of damage around Tamaki. Why I think we should have more Tui’s and more Kaka birds because they are really funny and they can help other birds with things. I also never wanted to see any Magpies as they have been causing trouble and have not even been sensible once. So I would rather see more Tui’s and Kaka birds instead of Magpies. Hope you enjoyed. For this task we had to write a story telling our story tellers about Native and Non Native birds. We had to describe what we had to do with our Story and tell them what we actually think about having more Native and Less Non Native. I chose Magpie, Tui's and Kaka birds, I really hate Magpies.